"I don't want to make veggie burgers. I'll buy some frozen ones at the store." "Damn, these things are expensive. Fine, I'll make them myself sometime." Then I never get around to it. But this time I did! I've made black bean burgers and even mushroom veggie burgers before, but this is my first time completely freestyling this. 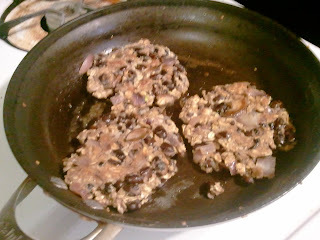 In my head, I was combining other recipes I'd made in the past to make an ultimate vegetarian superburger. 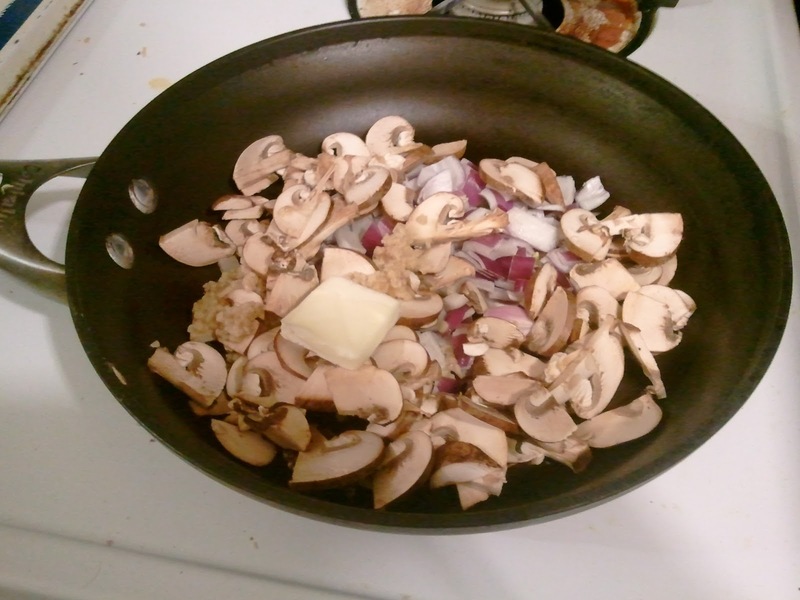 I started with sliced mushrooms (of course), some diced red onion that had been in my fridge almost too long, some minced garlic (the kind in a little glass jar that you keep in the fridge), and some butter. Thank you, Pioneer Woman, for turning me on to butter. 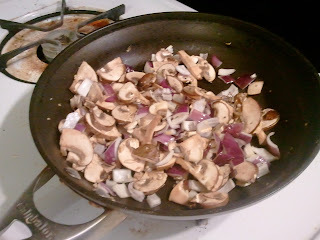 So I sauteed all that over medium-high until the mushrooms were soft. Dumped all that into a small bowl. 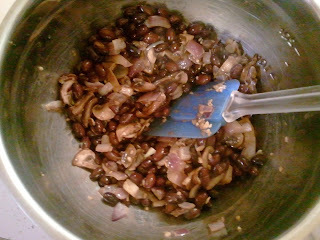 Added a can of drained black beans. I almost always buy Clearly Organic black beans because they don't have a bunch of extra weird ingredients in them and they're not much more expensive than the cheapest black beans. Rarely do I have enough foresight to soak my own dry beans and save money. Anyways, back to the burgers. 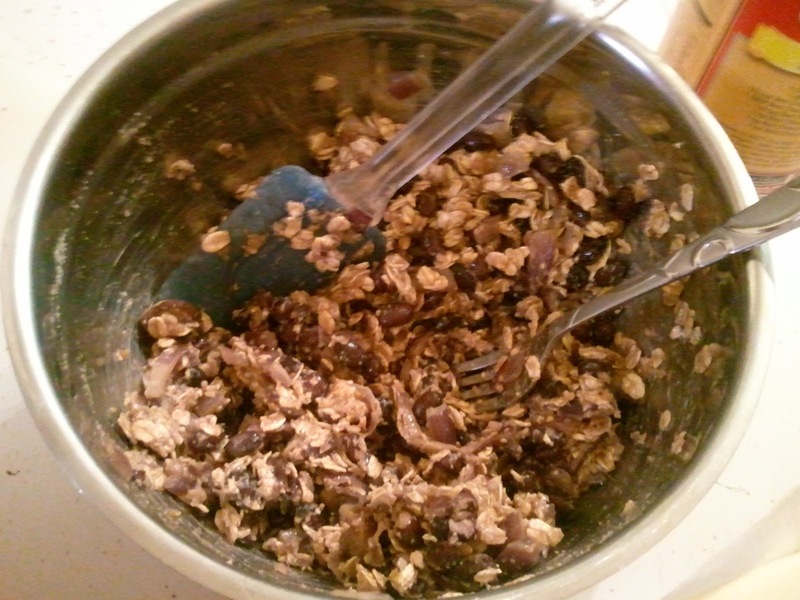 I added some plain oats, an egg (on top of the oats so as not to cook it on the hot ingredients) and some plain bread crumbs. In the future, I'll use a little less bread crumbs and maybe buy the Italian-flavored ones. Or just add some Italian seasoning to this. Mix it all up. I mashed part of the beans with a fork to try to get it to hold together better. Next time I'll mash even more. By the time I made this into patties, it felt a lot like hamburger! Melt a little butter in a skillet. 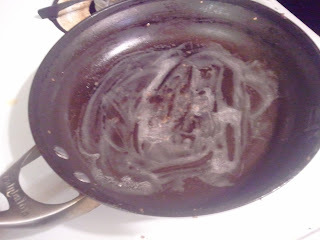 Or if I've already used too much butter for you, use oil or cooking spray. Patty up and fry up! I cooked about two minutes per side. These are really quite delicious, and they grew on me every time I ate more as leftovers. I think I got nine burgers out of this. I ate them topped with melted feta cheese and salt, with a side of my roasted potatoes. Normally I don't add salt to my food, but these needed quite a bit of salt. So in the future I'll add salt and maybe some freshly ground black pepper to the mixture before I cook it up. My "recipe" below is more of a guideline because I didn't measure and I'll probably change it up a bit in the future. But if you're comfortable playing around with this, I think you'll be quite pleased with your dinner result! 1. 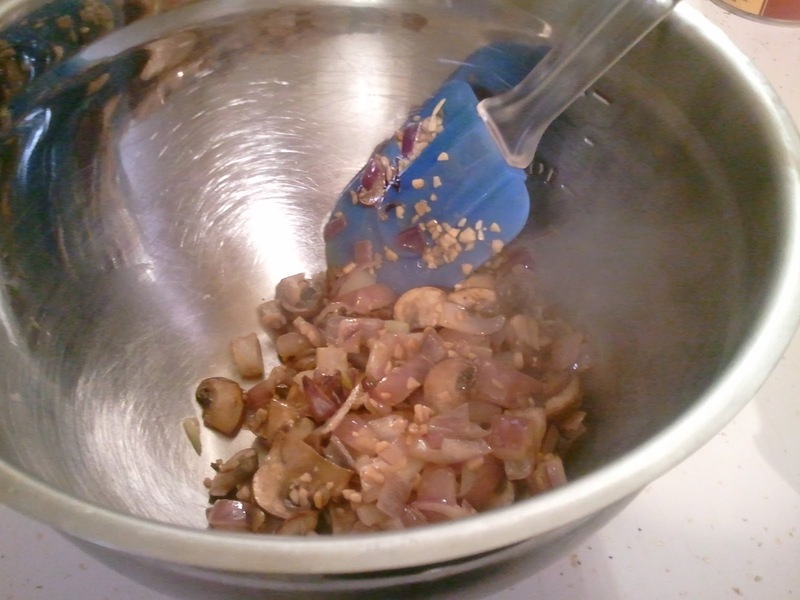 Saute mushrooms, onion and garlic in butter until soft. 2. Transfer to a bowl and add other ingredients. Mix well. 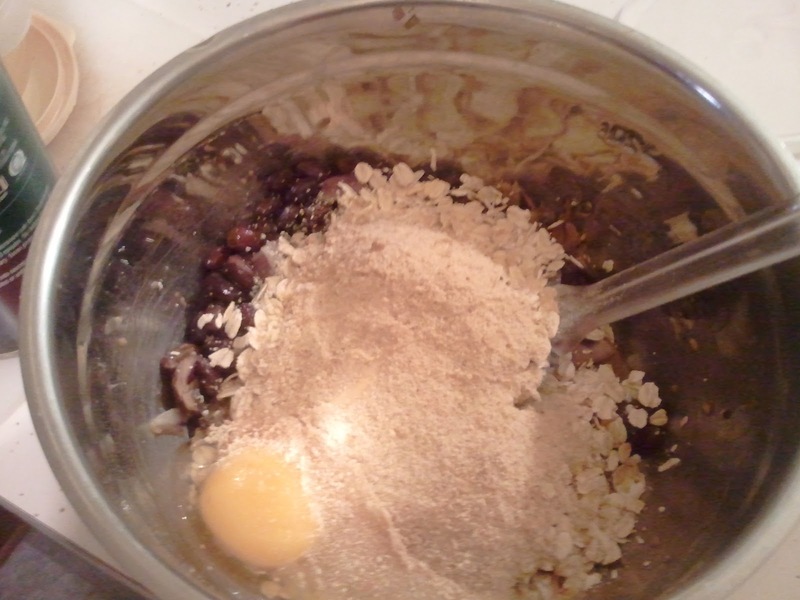 Mash some of the beans with a fork. 3. Make into patties and pan-fry in butter. 4. Taste-test and add more salt if necessary. I'm always on the lookout for a good homemade veggie burger and these have all of my favorite ingredients. Thanks for taking the leap and figuring things out. You've save me some trial and error. Now... "Trial and Error"... I've perfected that dish!